The Riverine Club features multiple event spaces including large and private dining rooms, a courtyard colonnade, or a meeting room. The areas can accommodate 120 people seated and up to about 200 for a cocktail party. The club also has a paved courtyard, which may be covered if desired. 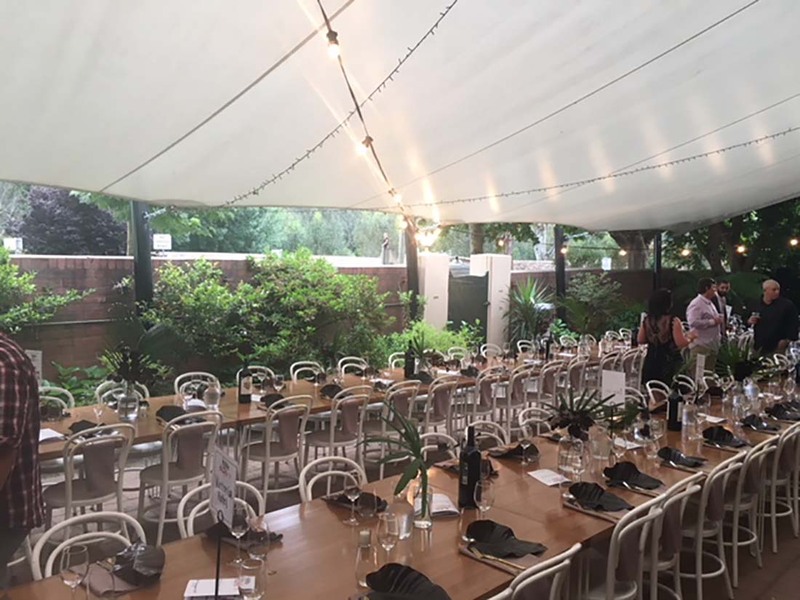 The Riverine Club can assist with all services for your function including invitations, setting-up and catering. Our staff’s unrivalled expertise is at your disposal. Apart from a superb cellar and bar, we have an excellent commercial kitchen you or your caterers are welcome to use. Facilities: Bar, courtyards, kitchen, tables, chairs, PA, facilities and microphone.